The Duke of Kent officially names the world’s largest aircraft, the Airlander 10, in the historic Cardington Hangar 1. 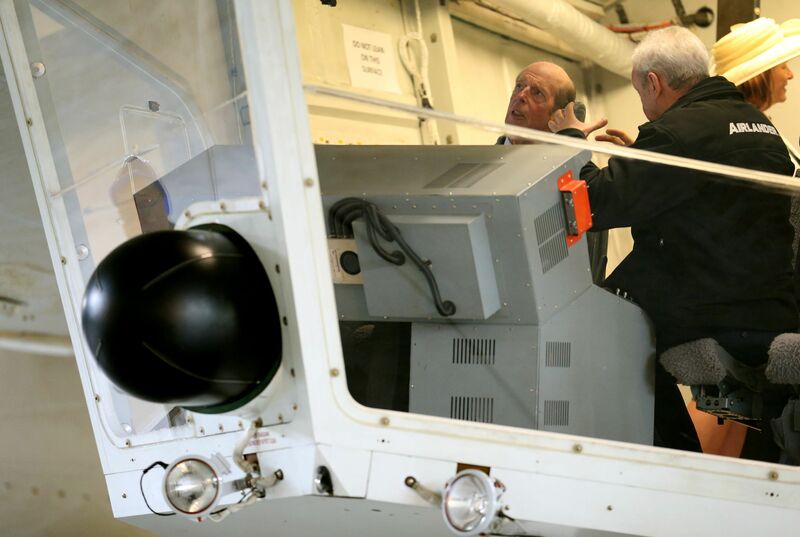 The Duke took a “flight” in the Flight Trainer with Chief Test Pilot, David Burns, spending time on the Flight Deck and Cabin of the aircraft, seeing the entire aircraft from the vantage point of scissor lift 30 metres in the air, as well as naming the Airlander. 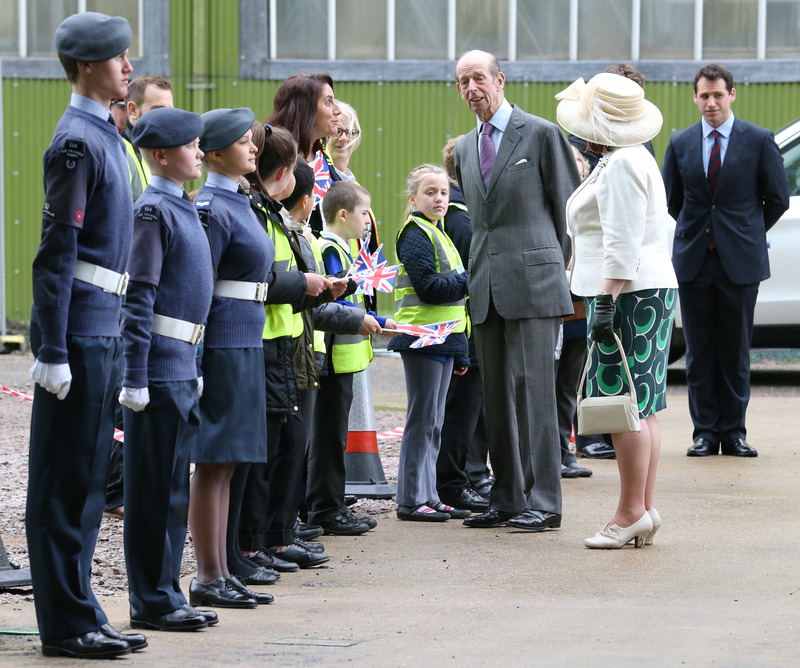 A Guard of Honour from Shortstown Primary School, Cotton End Primary School and Shortstown Air Cadets greeted The Duke on arrival. 12 members of Airlander Club (the aircraft’s supporters’ club) attended and met His Royal Highness. 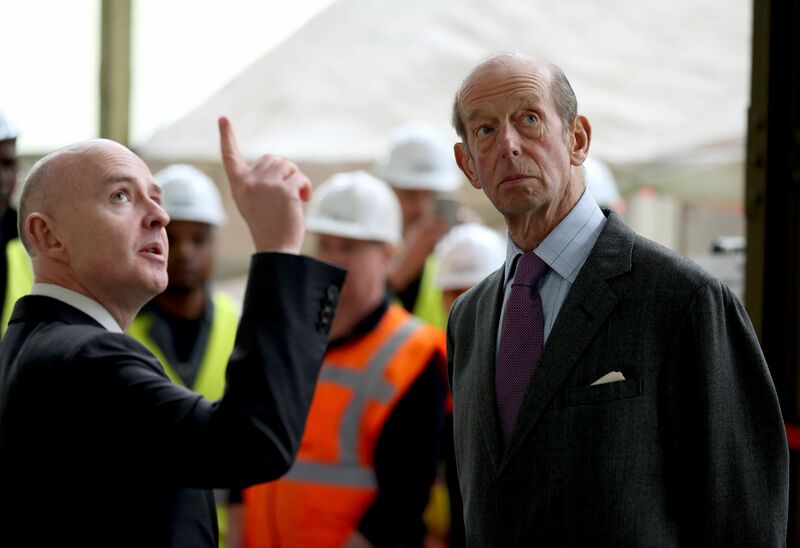 ​The Duke of Kent is an aviation enthusiast and Pilot. His Royal Highness was Vice Chairman of the Overseas Trade Board and later British Trade International (now known as UK Trade and Investment) from 1976 to 2001. Following his many years in the role, The Duke still retains an interest in British business at home and overseas. A number of the organisations with which The Duke is affiliated reflect his personal interest in technology and industry, engineering and innovation, including the Royal Institution, the Royal Academy of Engineering and the Royal Society.